Safety provisions for employees working away from the office or main site are seldom thought about. 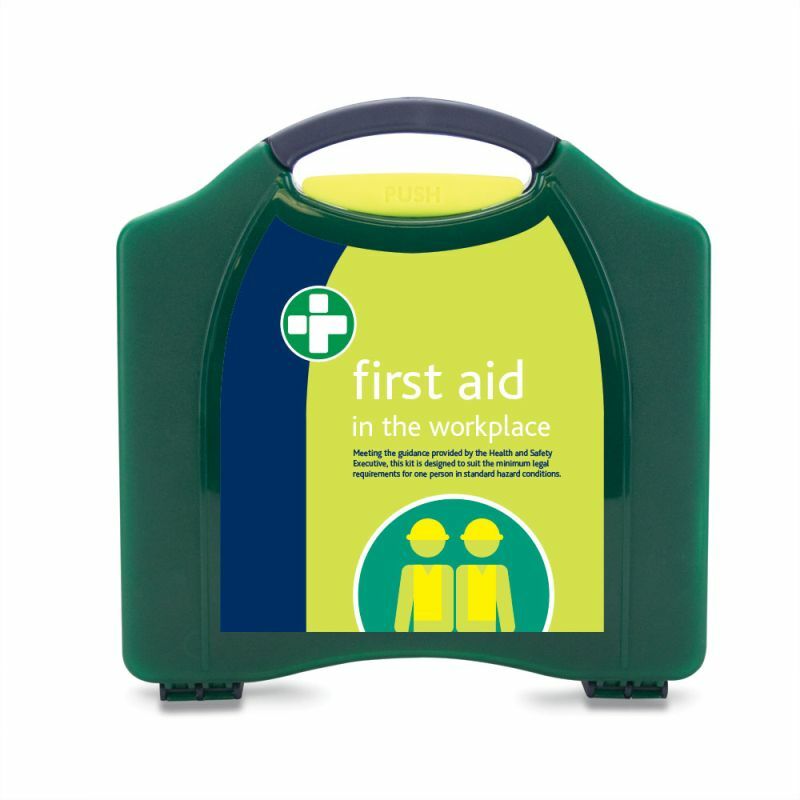 The Basic HSE Workplace One Person First Aid Kit ensures safety for those working away from their original base, or even to those who are self employed. Employers are responsible for ensuring the safety of their staff, even if they are working outside of the office or warehouse. Giving your employees a one person first aid kit for when they are travelling provides ultimate peace of mind that they will be prepared in the event of an accident. The kit is light and has a durable exterior, and an integrated handle on the carry case, to ensure the first aid materials are safely stored away. All provisions meet the basic HSE standards to guarantee best practice. What First Aid Materials Are Included in the Kit? 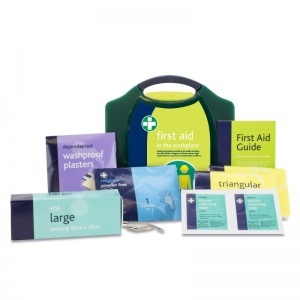 The Basic HSE Workplace One Person First Aid Kit is usually dispatched via First Class Royal Mail and delivery should be within 1 to 3 working days.